Back with our monthly focus on some of the smaller leagues in Europe (SPL, Dutch Eredivise, Portugal, Greece, Turkey) and how the scoring title race is going there (not much of a change except for Portugal) as the season enters its final weeks. For our March edition, go here. Despite not scoring a league goal since February 14th, Boyd is still on top in Scotland with 21, needing only one more goal to reach 100 league goals for Rangers. With the title pretty much in the bag (leading Celtic by 11 points, four matches left), Boyd isn’t getting the playing time he’s used to, getting subbed early or even coming off the bench. This fact leads to Anthony Stokes‘ threat on the top spot. The 21 year old Irish striker, playing for Hibs, is already with 19 goals, scoring three in his last five matches, including one against Celtic last week. Trailing Stokes is Kenny Miller, another Glasgow Rangers man, with 17, scoring two in his last three, also posing a small threat to the Boyd throne. With one game week left in The Netherlands, things are like this – Twente lead the league with 83 points, facing an away match against NAC Breda (9th, strong home team). Ajax are second with 82 points, facing Roda who are 10th and are a so-so home side. On the other hand, there’s no competition for the scoring title. Uruguayan Luis Suarez is taking the title easily, scoring 33 goals and who knows how much he’ll bag on May 2, becoming the 6th player in the last eight season to win the scoring title in The Netherlands with over 30 goals. The most impressive output in recent years has been Serbian Mateja Kezman with 35 goals in the 2002-2003 season. 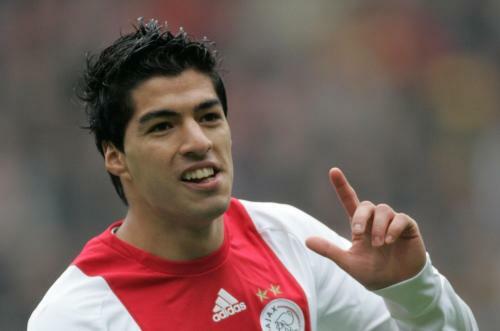 Can Suarez beat that, and hand Ajax their first league title since 2004? Or will it be Twente, winning only their second league title and first since 1926(!!!)? A big twist as Oscar Cardozo loses his first place to Colombian Falcao, while Benfica are very close to their first league title since 2005. Still, the scoring title might go to Falcao, who has been in excellent form, scoring four goals in his last four matches, as Porto will probably settle for a disappointing third place. It’s not over though, as Oscar Cardozo is trailing by only one goal with 20. Cardozo has scored four in his last six, including one in the big derby win over Sporting. With three matches left, this one is too tight to call. May 2 however, Benfica and Porto face each other. Maybe it won’t be a title decider, but it could be a great face-off between the two best scorers in Portugal. As Panathinaikos are headed towards for their first title since 2003-2004, Djibril Cisse is leading the scorers list with an enormous 12 goal advantage so far. His 23 goals, with 3 matches still left, are the best output in Greece since Dimitris Nalitzis scored 24 goals in 1999-2000. The big question is if Cisse, who seems to be moving around quite a bit in his career, has found a new and comfortable home or will this successful season mean he’s going back to the big leagues. Generally in Turkey, Bursaspor are still on top of the league, close to their first league title ever. Fenerbahce are right behind them, trailing by just one point with four matches left. In terms of the scoring title? The Portuguese striker is taking the title with ease, scoring 19 goals so far, two in the last month. 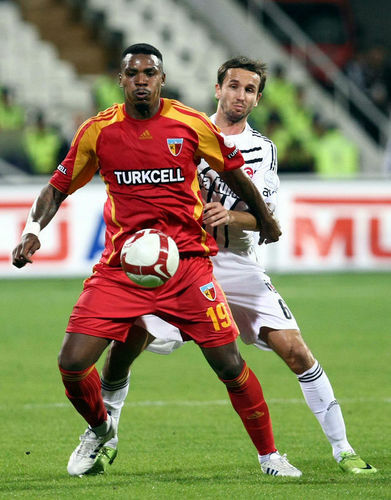 He leads Júlio Silva Cesar Souza of Gaziantepspor by seven goals, with Kayserispor still in contest for a place in the Europa league, currently sixth, 7 points behind 4th place Besiktas.